If you are in need of recycled office furniture for your business in Tampa, Florida, or a nearby city, turn to the experts at Reusable Office Interiors. 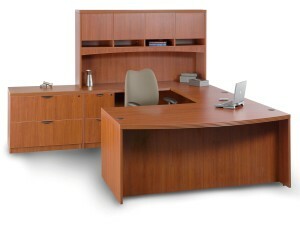 We can help you furnish your office space with beautiful and functional furniture that fits within your budget. When you trust us to supply you with furnishings for your office, you’ll be able to choose pieces from popular manufacturers like Herman Miller, Teknion, Steelcase, Knoll, Haworth, and others. Since we sell recycled office furniture, including gently used and refurbished items, you’ll receive top-of-the-line pieces for a fraction of what they cost brand new. Plus, by purchasing recycled office furnishings, you’ll be joining the growing number of business owners who are becoming more environmentally friendly. We also offer a number of excellent services, so you don’t have to worry about any of the heavy lifting. Our experienced team members can deliver and install all of your office furniture as well as liquidate existing furnishings for you. We can even recycle unwanted items for you, which can result in your business receiving a tax credit. To find out more about the recycled office furniture we have available, contact Reusable Office Interiors today. One of our specialists will gladly answer any questions you have and tell you more about all of the outstanding products and services we offer to business owners in Tampa, FL, and surrounding areas.